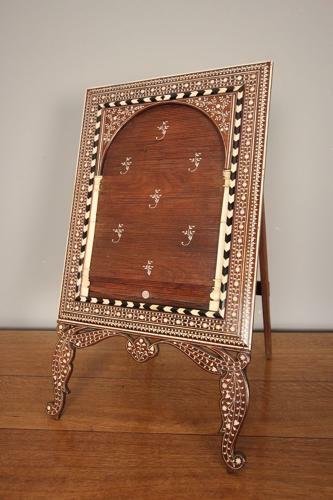 A profusely inlaid Anglo Indian dressing table mirror, having a decorative moulded frame, inlaid with Ebony and bone. The mirror having a pull down tambour front with a hinged back. Super colour and condition throughout this over sized unusual piece. Circa 1890.